Former Oasis frontman Liam Gallagher is starting a new chapter next week, heading out on a four date mini tour of the UK before strapping in for a summer of festival dates – from Reading and Leeds to Jakarta. The week that was supposed to be all about fine tuning Thursday’s tour announcement and gently showcasing new single Wall of Glass to the media took a different turn however, after the Manchester Arena bomb attack on Monday night. It adds extra weight to Liam’s first ever solo show, at the O2 Ritz on Tuesday night. He has already decided to donate all profits from the show ot the M.E.N’s victim support appeal. “Yeah, it changes things,” he says. “Some of the songs on the night are going to take on a different meaning. You do fall into the trap of getting up every night on tour and just doing it. But songs like Live Forever are going to be tough ones to sing on Tuesday. Liam is more measured these days, but still fiery. He’s passionate, honest, charming. Extremely sweary. 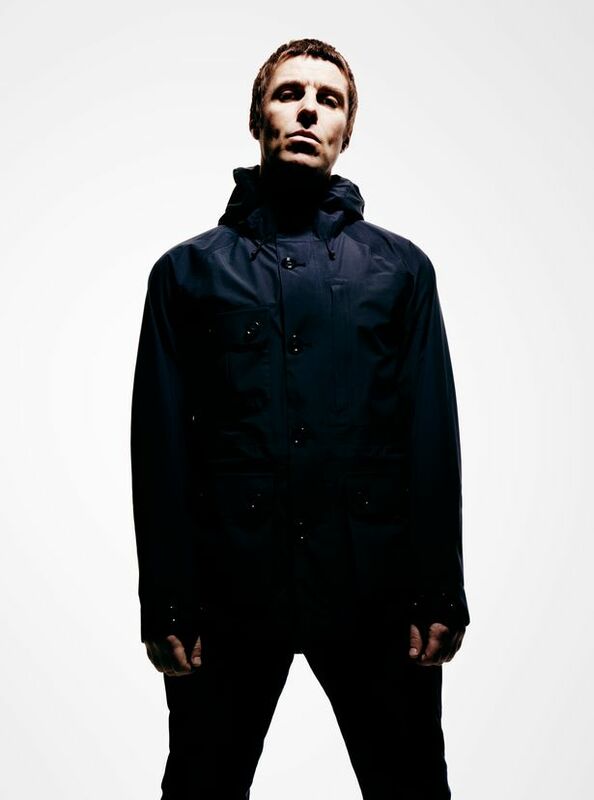 But he clearly knows himself a lot better at 44 than he did in his younger days, when Oasis swept all before them and even a vague half-stare from Liam was enough to spark love and war, occasionally at the same time. He knows that the solo thing could go either way, and he’s ready for that – although his self-confidence seems undiminished. The adoration of his fans hasn’t faded over time either. “I’d had four year of not wanting to be in a band, thinking my time was up and maybe I should just do one,” he says. “Maybe people don’t want it any more. In those years – which have seen him war with wives, brothers and anyone else who gets in the way, Liam has often seemed a disconnected figure. He still lives in London and his new partner, Debbie, has ‘saved him’. Did he feel…lonely? He’d take Sheeran’s unit shifting prowess though wouldn’t he? “I’ve never been that bothered about selling records and chart positions and all that,” he says. “I just like getting out there and making records and doing the gigs and stuff. The rest is someone else’s job. A few days before Liam comes back to Manchester, The Courteeners, a band unlikely to exist without Oasis, play to 50,000 people at Emirates Old Trafford. A huge gathering of defiant music fans, although despite rumours, Liam won’t be one of them. As well as the work ethic, Liam is proud dad and counsellor to teenage sons, Gene and Lennon. Gene, 15, is currently studying for his GCSEs and Liam has been tentatively offering advice. “I tell them not to stress. Just do their best. If it doesn’t work out, we pick ourselves up and move on. I left school with nothing and I had a great f***ing life. “I see Gene stressing out every morning. What do I say to him? Look man, you’ve got a lovely f***ing great big pair of eyebrows there, and they’ll open doors for you. Maybe literally. “What I’ve learned over the last four years – the last 20 years – is to live in the moment. I’m just going to enjoy this tour, try and stay fit, try not to f*** it up and just play some blinding f**ing gigs. 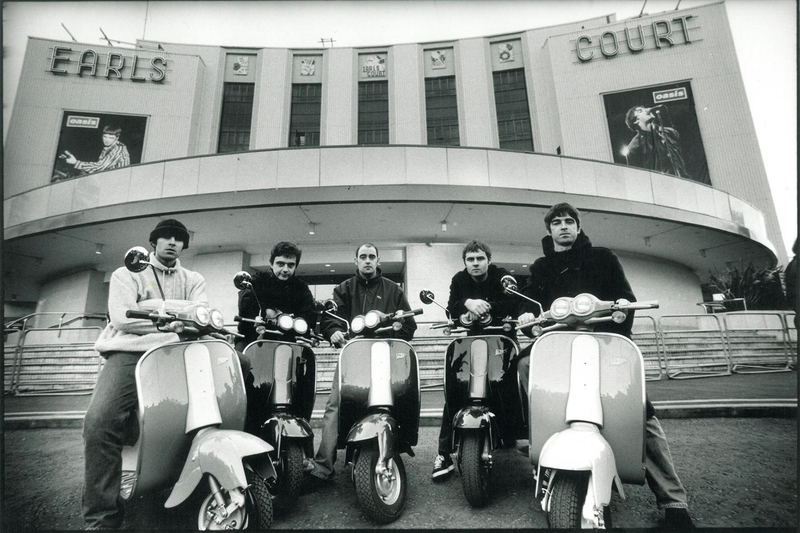 Liam Gallagher – rock and roll star, part-time careers advisor and keen amateur runner. What would a young Liam think of the 44-year-old version? “Maybe I’d tell him: sort your head out soft lad, you’ve only had 10 pints. And what are you going to bed at 10pm, you sad f***?